Westside Business Leaders Association, Inc.
Attorney Jonathan H. Goodman is a Jacksonville native and has been practicing law for more than 30 years in the same Westside location. His Estate Planning practice is devoted to helping clients plan for the distribution of their estates, and preparing the documents to protect their interests in the event of incapacity. He also advises and assists Personal Representatives in the Probate Process. Mr. Goodman represents clients in real estate transactions and personal injury matters. He assists other personal injury attorneys with the creation of Special Needs Trusts and Guardianships to preserve benefits for those who have been severely injured. Mr. Goodman helps clients plan for the distribution of their estates and for their care if they become incapacitated. While most of us would rather not think about these matters, the fact is without a will or other advance directive in place, significant unwanted consequences may arise. Mr. Goodman advises Personal Representatives about their legal and fiduciary obligations such as preparing tax filings, discharging debts of the estate, and liquidating and distributing assets in accordance with the will or Florida intestate statutes. Additionally, Mr. Goodman files guardianships for adults and minors. Mr. Goodman advises and represents sellers and buyers in real estate transactions. He regularly conducts real estate closings and issues title insurance policies. 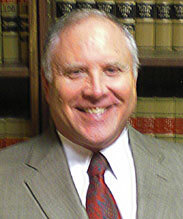 Mr. Goodman represents persons injured through the negligence of others.